Ask ten different people, get ten different answers. Kind of like when people find out my wife and I met in a debate, they assume we argue a whole lot… and I politely remind them that “nobody is supposed to know you’re debating, if you do it right.” Light-side debate is a lifelong discipline of mastery of self, loving of audience and enemy, dedication to research and truth, a commitment to move others towards good, and a foundational in classical rhetoric. So what are the actual parts of debate, available to master, if you divide them up? In this recent video by rhetoric professor Dr. Tallmon, he discusses “techne” and “phronesis,” two of the dianoetic virtues – “skill” and “practical wisdom” – which are available fruits from debate. Some pursue debate as an experience in which you dabble for several years, purchasing the research of others, and learning intuitively instead of exploring its depths. Others pursue debate as a lifelong pursuit of self-mastery. So what exact skills and wisdoms can be gained from debate? We worked at length to define, describe, and arrange these skills. What are the Dianoetic Virtues? Well, in Aristotle’s Nicomachean Ethics, he outlines the five intellectual virtues of the rational part of the soul. Here is a gross oversimplification. Nous – Knowledge. This is head knowledge. Unfortunately, the vast majority of educational efforts today are focused on nous alone, since the particulars of “facts” often do not require a philosophical viewpoint to understand. Episteme – First-principles and axioms. The scientific laws of thermodynamics, the logical law of non-contradiction, and so on, fit into this category. They are the unchanging basis from which nous operates. Sophia – Wisdom, or discernment. Here is the intellectual ability to sort things out, applying reasoning to universal truths. Phronesis – Practical wisdom. If Sophia is calculus, Phronesis is statistics: the lifelong applied wisdom of dealing with partial information, acting in ambiguity, and making effective quick decisions. Here we find the qualities of an executive, while the master of Sophia is more likely the head of research and design, an engineer, or a philosopher. Techne – Art, craft, or skill. Most people have Nous of music, but few are masterful “technicians” of music – what we would call a musician. It is here that we have anchored the “skills” of debate. Learn the habits of critical thinking, reasoning, wit, audience analysis, and you will gain the skills of debate. We selected these frameworks because millennia of works have been categorized according to them, especially the five canons of rhetoric. That means if you decide to dive deeper into some area, say Arrangement or Invention>Definition>Genus, you would have the words to search and find troves of works that were organized this way until only recently in modern history. You will find Francis Bacon, St. Thomas Aquinas, Cicero, Quintillian, Aristotle, and others, connecting them to your art: debate. Does that mean the framework is perfect? No. There are arguably some skills that could easily go in one or another area, or putting them into the framework is a little bit of a stretch. But it seems to work the majority of the time, so we’re keeping it. So when we started listing out all the skills you need to acquire to master debate, we were shocked. While we knew debate points to life skills (when you let it), the number of skills involved still delighted. And these skills are valuable. Look at any list of necessary skills for the 21st Century, the skills business leaders feel are missing from those who graduate today. For example, from the American Management Association, HuffPost reporting, Pepperdine’s Business Review, and Forbes you will quickly recognize that critical thinking, problem-solving, and communication are the most in-demand skills. In the professional world, I have hired many debaters to government analyst positions, leadership, startup marketing, and legal work – the ability to think, adapt, and own a problem is unique. At my current business, statUP.com, the other executives who did not debate have been fascinated reading the Upside Down Debate book and judging at debate tournaments – as they see the value of the skills and pick up the skills themselves. 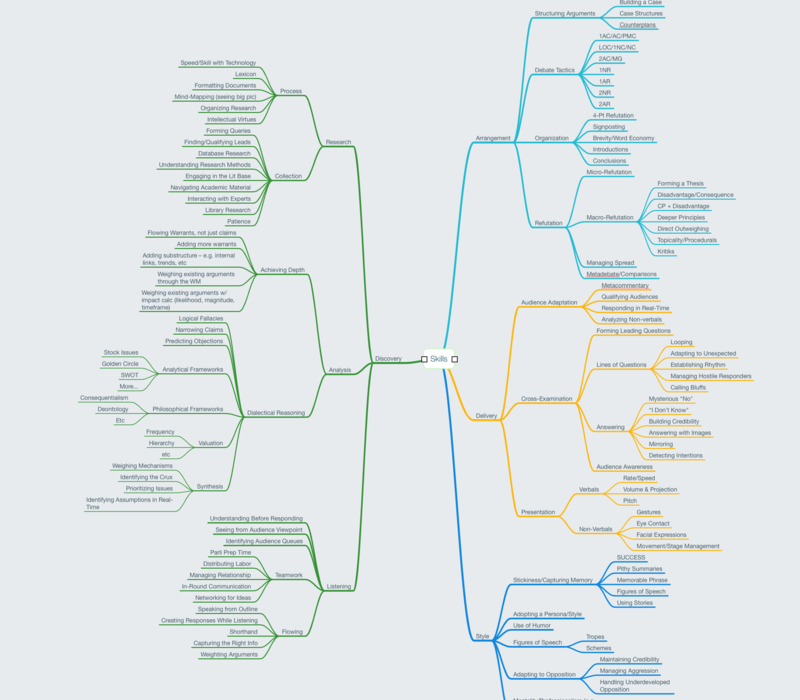 Here’s our draft 0.5 version of the model, zeroed in on techne (skill). Don’t squint!! There’s a complete list at the end of this post. Let’s focus just on the high-level ones, so you feel less overwhelmed. 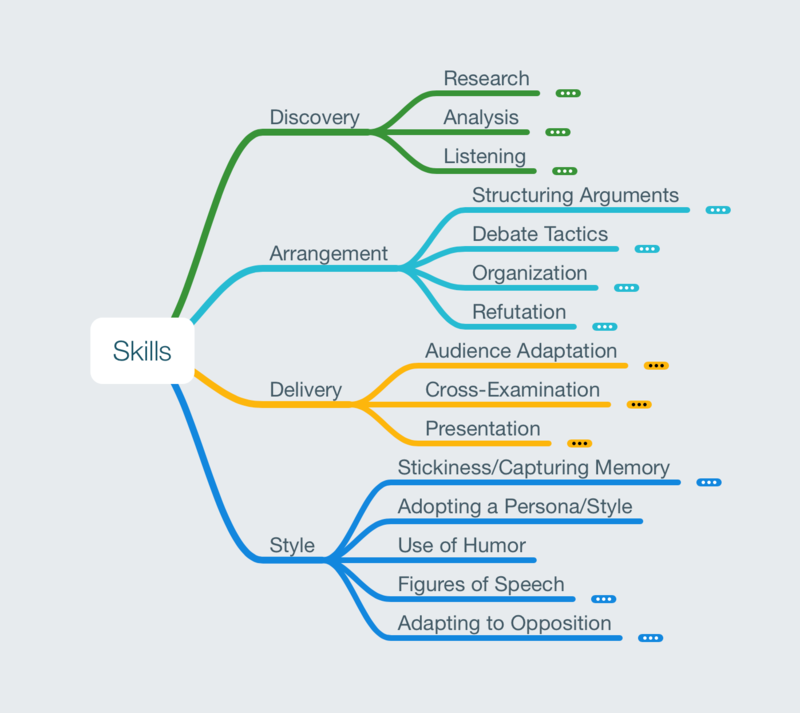 Now imagine if your resume showed that you have proficiency in all 15 of these skills learned from debate. That would be special! Where else can you learn all of these skills in high school? Nowhere. If you went to an Ethos debate camp this summer, you were probably surprised to find parents debating. We’ve actually helped many clubs nationwide begin involving their parents in parent-child round robins, club rounds, and so on. Do you believe debate is a life skill? If you said yes… when is the last time you participated in a debate round as a debater? It’s one of the reasons I continue to debate regularly, with students and via Ziggy Debates. I am 100% convinced that debate skills are essential, and not just for high school students. Think of debate club less as a high school resume booster and more like martial arts class for the mind. All ages participate and have different belt levels and so on, but you can rotate meetings through the various skills and each person take a step (whether white belt or black belt) in improving their skill in that area. That’s what debate clubs could be like. Send Ideas. You could send us your ideas, for one thing! We’re still developing the list. isaiah.mcpeak@ethosdebate.com. And there’s a whole side dealing with character, practical wisdom, wisdom, philosophy, and so on, that we’re not displaying in this chart. Expect a Leveling System. We’re trying to develop this to look more like Boy Scouts/martial arts, for life. We’ve been collaborating with rhetoric professors and business leaders to begin shaping the concept into four disciplines, with levels, ranks, badges, and more. If you have a business or leadership skill in this area and would like to be involved, also let us know, please! Use it In Club. Use the list to ask coaches smart questions, like can we work on XYZ skill. Use it to get books to fill in gaps you don’t have, or schedule practice time with partners or opponents on skill areas you should improve. Identify Your Gaps. Grade yourself on each skill and see where you may be behind. Hand a list to a coach or teacher and say “I want to improve in this area.” Or contact us and we’ll help, or hire Dr. Tallmon, or go get a rhetoric book, or… somehow seize what you’re missing! 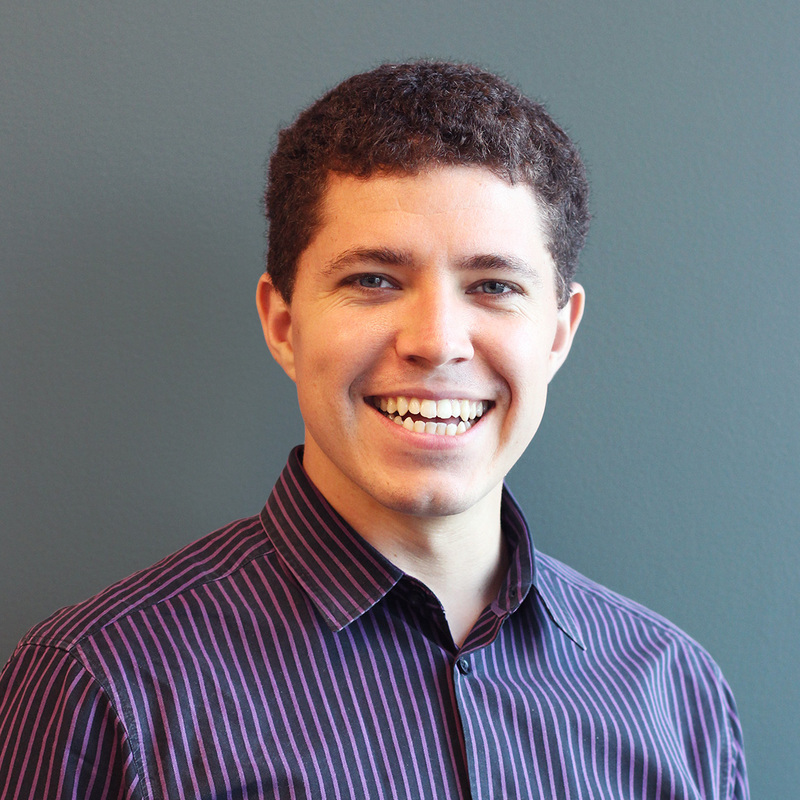 Isaiah McPeak is the Head Coach at Ethos Debate, and Co-Founder at sports tech companystatUP.com. He has over 10 years experience in speech and debate, coaching 5 national champions and placing top 5 in multiple leagues himself. Outside of the debate world, he’s had years experience as an intelligence analyst, writer, rhetoric teacher, and communications coach. He is also the CEO of the new startup, statUP. Isaiah is also the author of Upside Down Debate, a 5-star rated book that teaches debate from a life-transference and Classical Rhetoric perspective.